Hydraulic fracturing, or ‘fracking’, is the process by which natural gas is extracted from bedrock. The process involves drilling and then injecting a mixture of water and other chemicals under high pressure into the bedrock. This causes fractures, releasing Natural Gas and other gases. Natural Gas is a fossil fuel, just like oil and coal. Although the technology is largely untested in the UK, the direct impacts of fracking on Barn Owls are likely to be negligible due to the size of a typical Barn Owl home range. However, where extraction projects do result in the loss of a roost or nest site, mitigation and compensation measures should include the creation of permanent provision off-site before works commence, in line with guidance contained in Barn Owls and Rural Planning Applications – a guide 2015. Where an extraction project results in the loss of suitable foraging habitat, developers should recreate, and thereafter manage the same amount of habitat that is to be lost off-site. In the US, unwanted gases such as methane are sometimes burnt off, or ‘flared’, in the first few days of extraction. 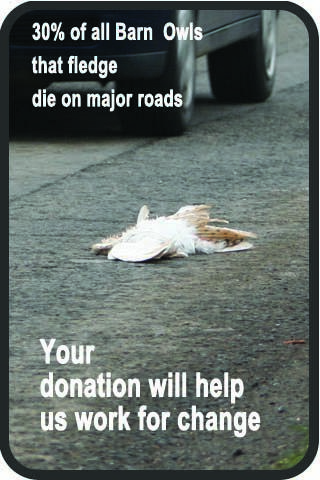 This could pose a risk of serious injury or death to a Barn Owl. Again however, the risk is likely to be negligible due to the species’ sensory adaptations. Nevertheless, unwanted gases should be captured rather than flared. If capture isn’t made mandatory it’s worth bearing in mind that methane is a much more potent greenhouse gas than CO2 so flaring is better than venting the gas straight into the atmosphere. Developments often create noise. Although it’s not clear how much noise is likely to be caused by an extraction project, it is unlikely to affect a roosting bird. Barn Owls learn to ignore or tolerate sounds that are regular enough to become familiar, irrespective of their source. Unfamiliar noises prior to and during the breeding season may have a negative impact on breeding success however. Works should not, therefore, commence between March and August, or at any time when Barn Owls are nesting. We consider climate change to be the greatest threat to our native wildlife. Some climate change forecasts predict a move towards more extreme weather events. This is likely to be bad for Barn Owls, as demonstrated by a run of such events between 2007 and 2013 that decimated the population. Irrespective of the direct physical impact of the extraction process on wildlife and the landscape, we are fundamentally opposed to further investment in fossil fuels, which are widely regarded as contributing to climate change. We are concerned that future investment in fossil fuels will not help us meet our climate targets and take away much-needed investment in low carbon renewable technologies. Nest and roost site loss – common reasons behind nest or roost site loss. 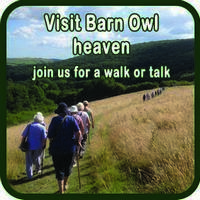 Barn Owls and planning – how to appropriately mitigate for Barn Owls in the planning process.